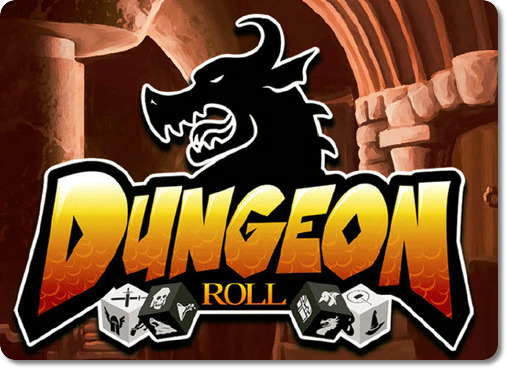 One of our first blogs was on a Kickstarter called Dungeon Roll designed by Chris Darden and brought to market by Tasty Minstrel Games. The game arrived and Marty and I wanted to get a 5 Minute Initiative out quickly on this game after our initial plays. There is a great How To Play video out there and the rules are quick and simple. As I state in the podcast, you roll dice to set your adventurers, the dungeon lord rolls dungeon dice depending on the level of the dungeon you are on, defeat the monsters with your adventurers, and see if you want to go on with that level defeated based on what is left in your party of adventurers. Each player gets to go to the dungeon three times and whoever has the most experience points at the end of the third delve wins. Once again, the How to Play video does a great job of explaining, give it a watch. Marty and I both enjoy this game as a filler and the theme really is a positive for this push your luck type of game. All dice games have down time, but since the dungeon lord is a different person and they have something to do, there is less in this game than in others in my opinion. At this price point and the quality of the dice, these bad boys are solid, and with future expansions planned, this could be a good game to add to your shelves if you are looking for a Zombie Dice replacement.